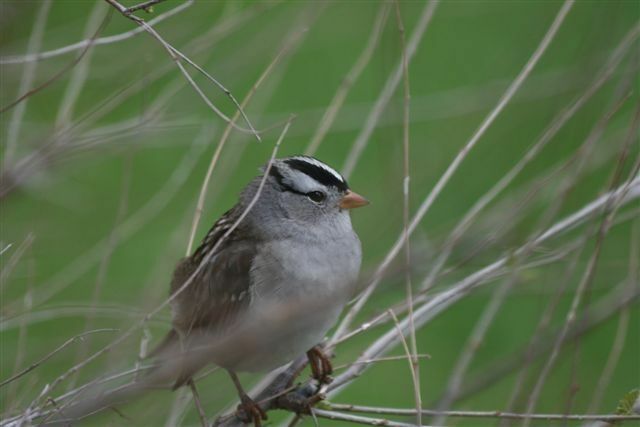 White crowned Sparrow, 6 miles SW of Woodworth. Photo by Rick Bohn. 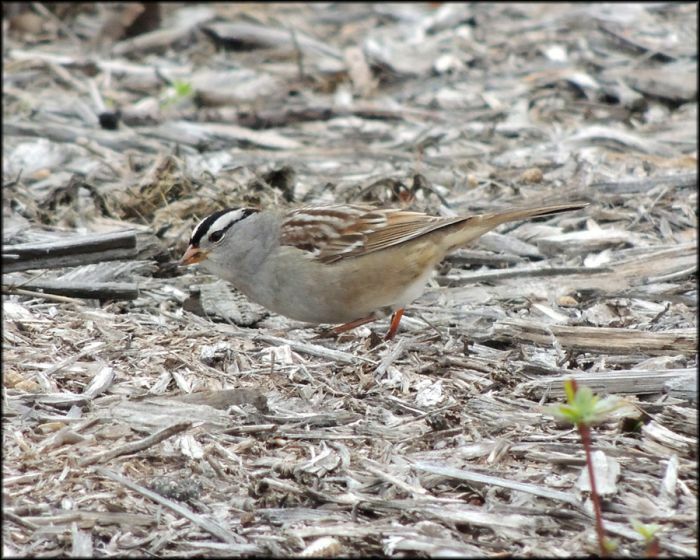 This White-crowned Sparrow was seen foraging in wood chips near the Red River in Fargo along 13th Ave S. Photo by Dan Mason. Photo taken by Sharon Watson at the Watson Farm - Buxton, ND.